The series of shows will take place on the first Wednesday of each month at the Junkyard Café; a stone’s throw from the Ronald Reagan Presidential Library. If you have never been to the museum I highly recommend that too! The magic evening kicks off with a no host bar at 6.30pm followed by dinner at 7.00 and the show beginning at 8.00. 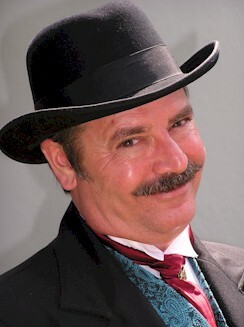 The regular host for the ‘Junkyard Magic’ evenings is going to be that ‘man out of time Pop Haydn.’ In spite of our long friendship, it will be the first time I have worked a gig with Pop and I am looking forward to it greatly. He is a great magician and one of magic’s true characters. I can only imagine with the two of us sharing the stage, the spirit of Billy McComb might be sitting in the back of the room sipping a Captain Morgan and coke! 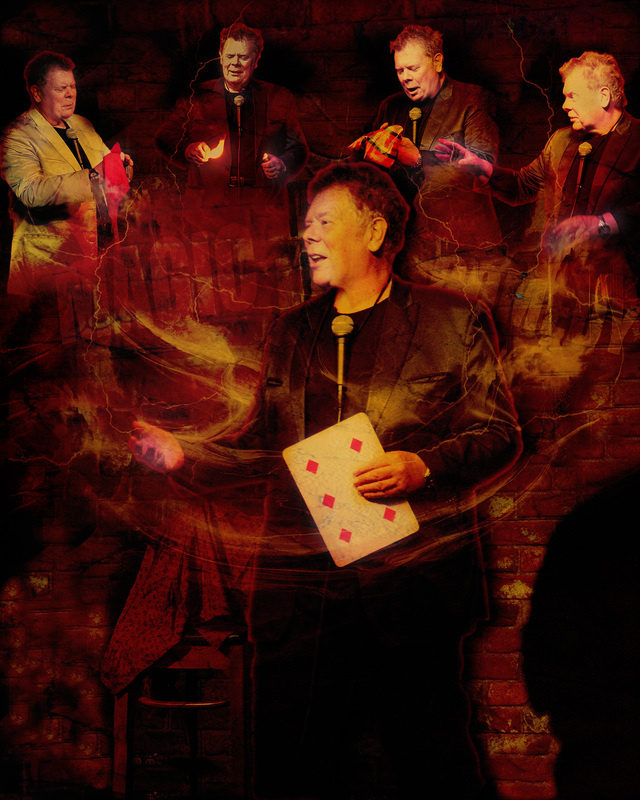 A six-time winner of the ‘Magician of the Year’ award from the Magic Castle, Pop combines superb magic with a great deal of charm and humor to bedazzle his audience. I will have to be careful not to get so caught up in watching his show that I forget to set my props. I am sure a great deal of the audience appeal of this new monthly gig for the regular audiences will be watching what new tricks he pulls out his bag each month. I will be performing basically my award winning Las Vegas ‘Comedy Magic’ show, which kicked off the trend for one-man magic shows in Sin City back in the early ‘90s. If you have never seen my show but are just familiar with my writing, I invite you to come along and see what I actually do! To all my old Castle friends I warmly invite you to catch up with where I am at nowadays. Incredible as it seems it has been 28 years since I worked a full week at the Magic Castle—and it could be another 28 ‘till I do so again! 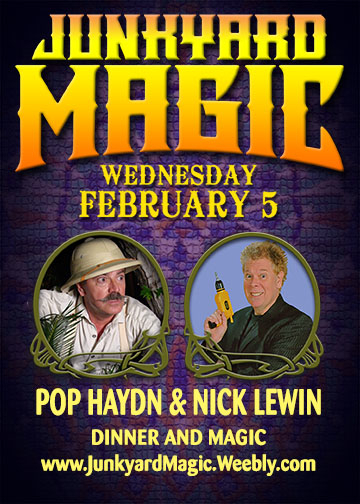 Full details about the show are available on the website at www.junkyardmagic.weebly.com or to make a reservation call 805.520.5865. The cost of the evening including meal and show is a very modest $30 and I am confidently expecting it to be a splendid evening. I think it is very exciting prospect to be a part of opening up a new venue for magic and getting to perform a full-length show in such an intimate setting. As an added bonus you do NOT have to wear a tie for the evening! In fact Pop even encourages his audience to text during his show, he is a big believer in the power of social networking and encourages this scandalous behavior. Personally I think something is wrong if the audience has enough time on their hands to be texting or Facebooking mode during my show. However, feel free if it makes you happy………. ~ by Nick Lewin on January 31, 2014.